Here is your opportunity to own in Normaltown! This three bedroom and two bathroom home is on a spacious lot with a great front yard and plenty of parking around back. Hardwood floors throughout, wonderful screen porch and a great big den addition with a fireplace in the back. 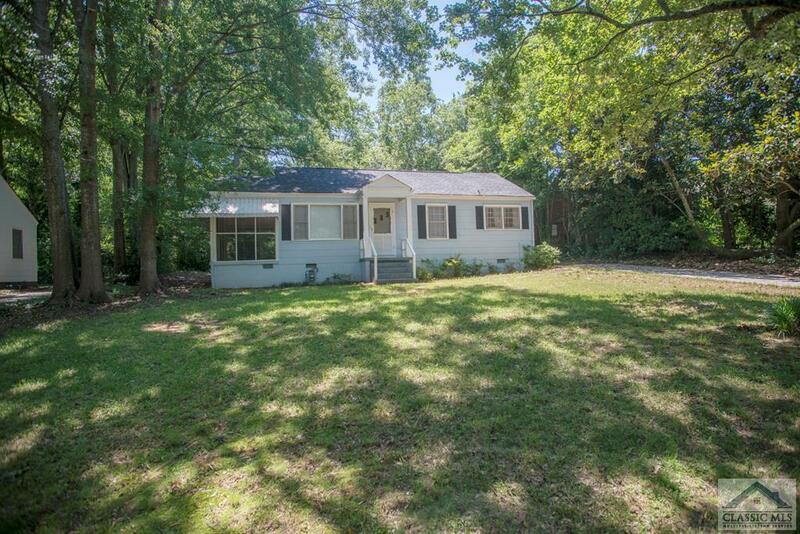 Great walkability to restaurants, Piedmont Hospital, Chase St Elementary and more. Talmadge Heights is a subdivision within the city of Athens, Georgia. There are currently 1 Homes for Sale within Talmadge Heights, with asking prices ranging from $564,900 to $564,900. The average list price per square foot of the available inventory in Talmadge Heights is $0, which is the Athens average of $222. The Average Sales price of all sold real estate in this subdivision for the past year is $259,927. Recent comparable homes have been selling for 97.09% of their asking price. Waterfront homes represent 0.00% of the available Talmadge Heights inventory. The population of Athens, according to the 2010 Census, is 115,452. The total number of households in the zip code of Talmadge Heights is 16,955, with an average household size for of 2.33 people. The total number of renter households within the zip code of 30606 is 9,063, which means that 46.55% of households in this zipcode are owner occupant households. 685 King Ave, Athens GA 30606 is a Home, with 3 bedrooms which is recently sold, it has 1,539 sqft, 0.26-0.5 sized lot, and None parking. A comparable Home, has 3 bedrooms and 3 baths, it was built in and is located at 370 Talmadge Drive Athens GA 30606 and for sale by its owner at $ 564,900. This home is located in the city of Athens , in zip code 30606, this Clarke County Home, it is in the Talmadge Heights Subdivision, and Bedgood Glenwood are nearby neighborhoods.